The Alpinestars Tech 8 is a combination of the newest innovative technology and high quality materials with an ergonomic design. Alpinestars has created a great range of motocross boots that take performance, protection and comfort to a new level. The Alpinestars Tech 8 contains the best technology such as a new buckle closure system and innovative plate system for great protection. In addition, the boot is made of a combination of full-grain leather and a special kind of light microfiber that is flexible and offers great resistance against abrasion. These features of the Alpinestars tech 8 will help every rider tackling the most difficult tracks. 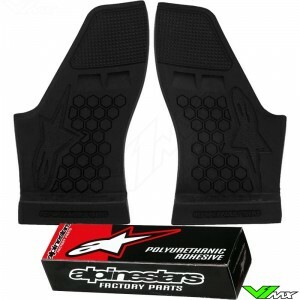 The Alpinestars Tech 8 is provided with an inner bootie that improves comfort and protection against impact. This inner bootie includes shock absorbing gel and soft comfort padding for enhanced fit. This boot is the only one of Alpinestars with an stitched sole, specially made for riders who prefer the solid feeling. V1mx offers the whole collection of Alpinestars offroad boots. 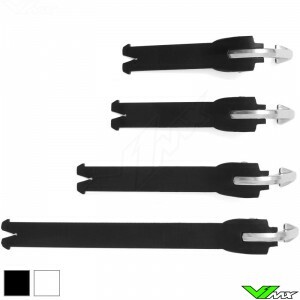 Do you have a question about the Tech 8 or about the order process at V1mx? Feel free to contact us. We will be happy to help you choose the right motocross gear.